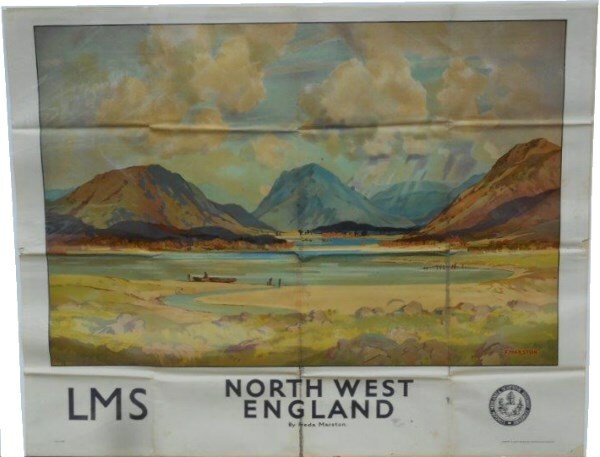 Lot 127 Q/R Poster 1925, LMS "North West England" by Freda Marston. An impression of spectacular Buttermere. Folds with some fold tears and a few marks in the bottom area.